​MLK Day Woj Bomb, people! ​The bizarre tale of Carmelo Anthony continues, and the latest word from Adrian Wojnarowski holds that the Houston Rockets have finally, mercifully agreed to deal the out-of-favor forward to the Chicago Bulls along with a stack of money simply to facilitate getting him out the door. It's unclear what the Bulls offered in return, but use your imagination. It can't possibly be very much. Houston previously parted ways with James Nunnally​ in order to make room on the roster for Kenneth Faried. 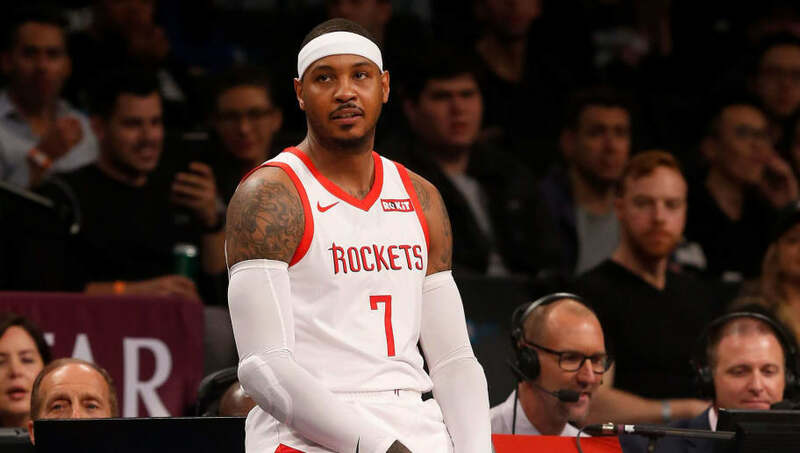 Melo may be a future Hall of Famer, but he lasted just 11 games with the Rockets, who picked him up on a minimum deal after the Oklahoma City Thunder washed their hands of him following a disastrous 2017-18 ​NBA season. He averaged 13.4 points in Houston on 40.5 percent shooting. Anthony contract negotiations surely aren't in the Bulls' future, as he's playing under a one-year deal worth just $2,393,887. As for the Rockets, they're saving a meager chunk of change getting him out the door. With the Rockets dealing with significant injuries to key players, the sheer extent to which Melo's services simply were not needed. But Chicago, a tank-tastic team that goes from one controversy to another with surprising ease, has stepped up to the plate. According to Woj, however, Melo won't play a game in Chicago. ​​This was a pure financial move by the Bulls, which will receive cash from the Bulls for basically agreeing to take on some of Anthony's contract and eventually dumping him for nothing. Melo's career in Chicago will be just a short as his stint with the Atlanta Hawks. Hang his jersey in the rafters.